The top 30 players on the 2014 Champions Tour money list compete this week on Desert Mountain’s Cochise Course—one of six Jack Nicklaus Signature Golf Courses at the North Scottsdale club—in the Charles Schwab Cup Championship, the season finale on the Champions Tour. The field has a combined total of 141 PGA Tour victories and 125 Champions Tour wins. Players will receive double Charles Schwab Cup points, with the winner earning 880 points and the 30th position worth 48 points. The Charles Schwab Cup will air on the Golf Channel today through Saturday from 4:30 p.m. to 7:00 p.m. and 7:30–10:00 p.m. ET. Sunday’s final round airs from 3:30 p.m. to 6:00 p.m. and 7:00 p.m. to 9:30 p.m. ET. The Golden Bear regularly returns to the six-course complex at Desert Mountain to keep the golf facilities current, but the Champions Tour’s top-30 players should only look for one modification this year to his award-winning Cochise layout. This week, the course will test three current World Golf Hall of Fame members; six golfers who have won majors on the PGA Tour; and 12 Champions Tour major champions. Germany’s Bernhard Langer enters the field as the top player, claiming the 2014 Charles Schwab Cup after posting 17 top-10s in 20 starts this year. He is the only non-American to win the Schwab Cup since it was established in 2001, having also come away with the Champions Tour’s top points in 2010. The Charles Schwab Cup is a season-long, points-based competition to determine the Champions Tour’s leading player. The program rewards both consistency and top-10 finishes week-in and week-out at all official/Charles Schwab Cup events. Points are awarded to the top-10 finishers and ties in all official tournaments, and are based on the money distribution for each tournament, with every $1,000 earned being the equivalent of one Charles Schwab Cup point. In addition to double points in this week’s championship, points are also doubled at the Champions Tour’s five major championships. As the Champions Tour’s season-ending event, the Charles Schwab Cup closes out a year in which six Champions Tour events were played at Nicklaus Design layouts—including two senior majors, the Regions Tradition at Shoal Creek in Alabama and the Senior PGA Championship at Harbor Shores in Michigan. 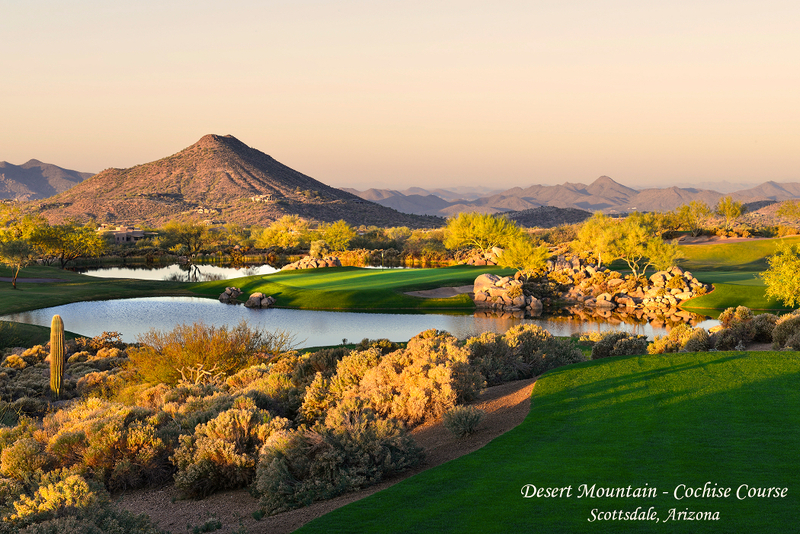 The Desert Mountain Club and the Champions Tour recently announced that the Charles Schwab Cup Championship will return to Desert Mountain’s Cochise course in 2015, making it the tournament’s home for a three-year stretch from 2014 to 2016. For more information about the Charles Schwab Cup Championship, visit schwabcup.com.